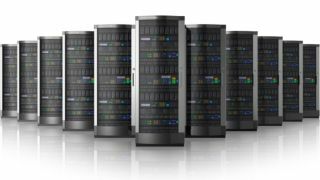 Server market shipments grew by 2.1 per cent in 2013, but revenue fell by 4.5 per cent, providing a mixed bag of results for the data centre sector. The latest Gartner report on the global server market shows that more units are being shipped, but overall revenue is down, thanks to falling prices to meet rocky economic conditions, particularly in the Europe, Middle East and Africa market. The figures were spurred by a 3.2 percent shipment growth in the fourth quarter, coupled with a 6.6 per cent decline in revenue for the same period compared to a year earlier. HP topped the server charts for 2013, with $3.8 billion (£2.3 billion, AU$4.2 billion) made in the fourth quarter. This was a six per cent increase on the $3.6 billion (£2.2 billion, AU$4 billion) it made a year earlier. Its market share increased from 24.8 per cent to 28.1 per cent. IBM slipped into second place, with revenue down by a monumental 28.9 per cent, from over $5 billion (£3 billion, AU$5.6 billion) in the fourth quarter of 2012 to just $3.6 billion (£2.2 billion, AU$4 billion) in the same period in 2013. As a result, its market share shrank from 34.9 per cent to just 26.5 per cent. Dell came in third, with little change in its revenue. It brought in just over $2 billion (£1.2 billion, AU$2.2 billion) in the fourth quarter, down 0.5 per cent from the year previous. However, its market share grew from 14.3 per cent to 15.2 per cent. Cisco came in fourth place. It saw a massive 34.5 per cent boost to revenue, up from $480 million (£288 million, AU$535 million) to $646 million (£388 million, AU$720 million), which boosted its market share from 3.3 per cent to 4.7 per cent. Oracle was fifth, with revenue dropping from $603 million (£362 million, AU$672 million) to $574 million (£345 million, AU$639 million), a decline of 4.7 per cent. Its market share stayed roughly the same, undoubtedly helped by IBM's losses. x86 servers continued to dominate the large-scale data centre sector, while x86 blade servers saw a 2.6 per cent decrease in shipments, but a 0.8 per cent increase in revenue for the year, the reverse of the overall market trend. "2013 presented some pronounced differences in various server market segments," said Jeffrey Hewitt, research VP at Gartner. "We've seen ongoing growth in Web-scale IT deployments, while the enterprise remained relatively constrained." "In terms of hardware platform types, mainframe and RISC/Itanium Unix platform market performance kept overall revenue growth in check," he added. Gartner predicts that there will be modest growth in the server market in 2014.